SLEEPY EYE — Sleepy Eye’s McKenna Strong went 3 for 4 with three stolen bases and three runs scored as the Indians defeated Buffalo Lake-Hector-Stewart in Tomahawk Conference softball action on Monday. Sleepy Eye’s Emma Fischer was 2 for 4 with a home run and three RBIs. Kathryn Schoepfer picked up the win for the Indians. She struck out six and gave up three hits. Leslie Rodriguez was 2 for 2 with two stolen bases for the Mustangs. Alex Maiers took the loss, giving up 13 hits and she struck out five. 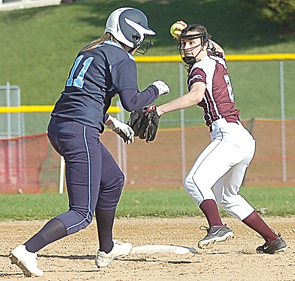 WINDOM — Windom Area defeated Springfield in a nonconference softball game on Monday. Mya Mickelson and Sarah Dunn picked up Springfield’s only hits. NEW ULM — New Ulm defeated Waseca in Big South Conference boys’ golf action at New Ulm Country Club. New Ulm’s Glavine Schugel was the overall medalist with a 37. Aiden Guggisberg (43), Kyle Esser (47) and Josh Guldan (50) also competed for the Eagles. On the girls’ side, Abbey Frauenholz led the Eagles with a 45 and Izzie Wolkow shot a 49. Jana JuliaBoquet (48) and Makena Otto (53) also factored into New Ulm’s scoring. New Ulm plays at 9 a.m. on Saturday at the Marshall Invitational. WINDOM — The Springfield boys defeated Windom Area in nonconference boys’ golf action. Springfield’s Mason Kretsch was the overall medalist with a 38. The Springfield girls were incomplete. Mackenzie Lothert shot a 45 for the Tigers. Springfield hosts a meet at 4:30 p.m. on Tuesday. MADELIA — Madelia placed second in a boys’ golf triangular on Monday. Dawson Weber from Martin County West was the overall medalist with a 39. Madelia was led by Carson Wihlm, who shot a 41 and Cade Lunz, who shot a 42. For the girls, Madelia took home first place. The overall medalist for the girls was MCW’s Leah Amoborn, who shot a 57. Alayna Champlin shot a 61, Faith Bergeman shot a 62 and Jude Frelich shot a 64 for Madelia. 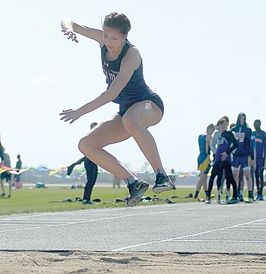 Madelia hosts a meet at 4:15 p.m. on Tuesday. 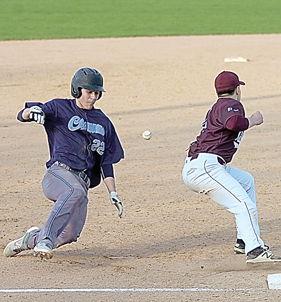 SLEEPY EYE — Sleepy Eye St. Mary’s defeated Wabasso 5-1 on Monday in a Tomahawk Conference baseball game. Nick Labat was the winning pitcher for St. Mary’s. He had 14 strikeouts and allowed one hit, one run and two walks. Kyle Goblirsch led St. Mary’s with a double and an RBI. Lance Wagner had Wabasso’s only hit, which was a home run. St. Mary’s (3-0, 2-0) plays at 4:30 p.m. on Tuesday at New Ulm Cathedral. Wabasso plays at 4:30 p.m. on Tuesday at Sleepy Eye. TRUMAN — Martin Luther/Granada-Huntley-East Chain defeated Minnesota Valley Lutheran 7-2 on Monday in a nonconference baseball game. Teddy Giefer led MVL with a double and an RBI. Also for MVL, Owen Rich had an RBI and Josh Giefer had a double. The losing pitcher was MVL’s Matthew Rieger, who pitched three innings and gave up three hits, five runs and one walk. MVL hosts Buffalo Lake-Hector-Stewart at 5 p.m. on Tuesday. JANESVILLE — Nicollet defeated Janesville-Waldorf-Pemberton in a prep baseball game on Monday. For Nicollet, Ben Radke was 3 for 4 with two RBIs and two runs scored. Shane Stevenson was 2 for 4 with two RBIs. Eric Fischer earned the win for the Raiders. He went four innings and struck out eight. SLEEPY EYE — Kadon Strong went 2 for 4 as Sleepy Eye defeated St. James in nonconference baseball on Monday. Ethan Fischer was 3 for 3 with four RBIs and a double and Matthew Sellner earned the win, giving up four runs on five hits in four innings.